Mr. Pakbir is a political and current affairs analyst of Daily Observer. He excels is political and democracy research. 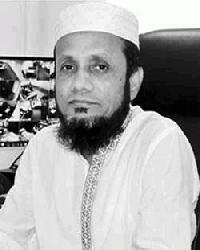 He is the founder and Chief Editor of Mohammadi News Agency (MNA) and Editor of Kishore Bangla, a well-known magazine for the teenagers and children of Bangladesh. Alongside he is acclaimed for his social works in improving the lives of underprivileged children and Vice-Chairman of Democracy Research Center (DRC).